InComm, a leading prepaid product and transaction services company, today announced the exclusive launch of Gift of College gift cards at all Toys“R”Us® and Babies“R”Us® stores across the U.S. Gift of College is a program that makes it possible for friends and family to contribute to a child’s college savings plan. Parents or guardians register the child, linking an existing or newly-started 529 plan or student loan account. 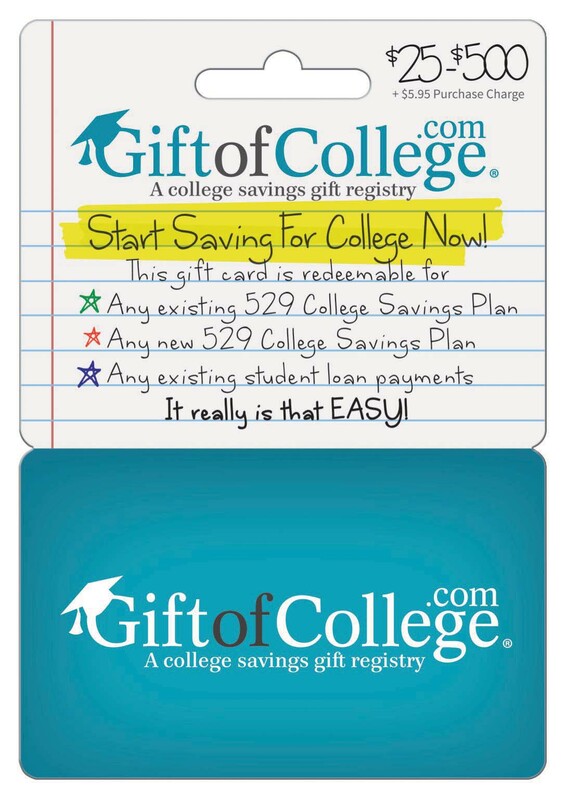 Friends and family can then contribute by purchasing physical or digital gift cards that are redeemable at GiftofCollege.com, which then transfers funds directly into the college savings plan. A study out of the Journal of Children and Poverty, found that kids with savings accounts in their name are six times more likely to attend college. Gift of College can also be used by companies as a benefit to their employees. The launch of the program at Toys“R”Us and Babies“R”Us is taking place in more than 780 stores in the U.S. (excluding Express and Outlet). 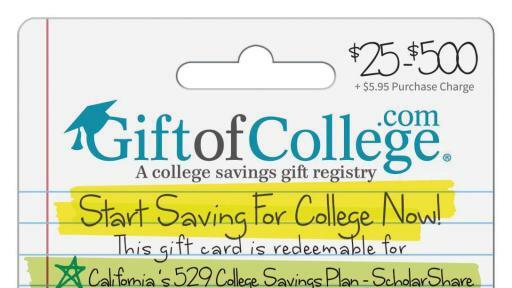 In California, State Treasurer John Chiang’s Office will be the first to endorse and launch a co-branded ScholarShare 529 College Savings Plan version of the card. State Treasurer Chiang will announce this launch on Nov. 15 at a press conference at a Toys “R” Us store in Los Angeles. 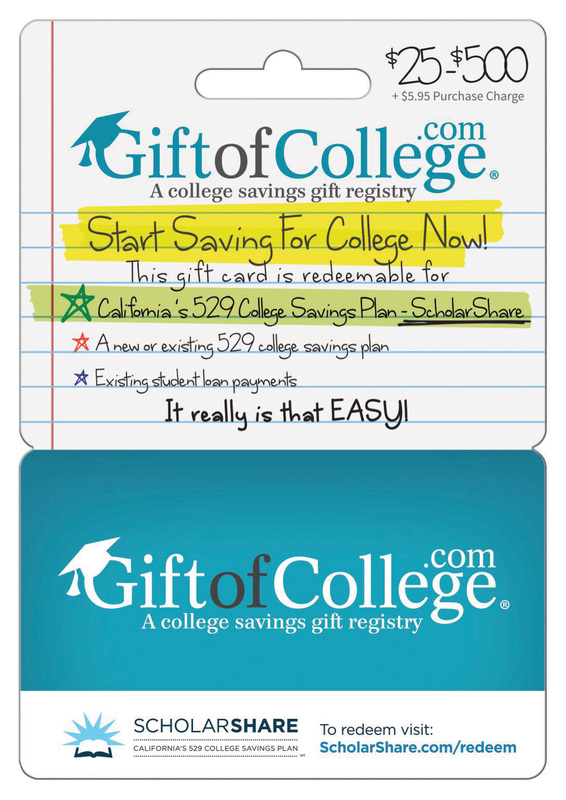 Founded in 2008, GiftofCollege.com is a gift registry for college savings plans that lets friends and family contribute easily online or with gift cards. 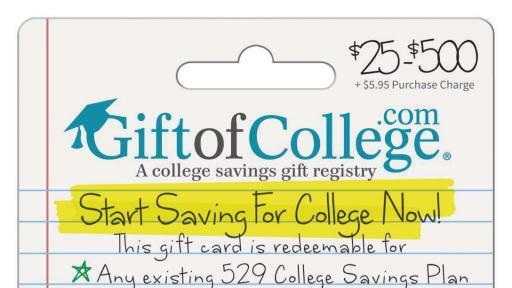 Gift cards are redeemable at GiftofCollege.com for deposit directly into any existing or newly started 529 plans and student loan accounts. Gift of College also provides a social savings platform where parents can promote their child’s education within its community, making saving for college, simple, fun and top-of-mind. ScholarShare accounts may be opened with as little as $25. ScholarShare has no annual account maintenance fee, no income limit and offers a high maximum account balance. Established in 1999, ScholarShare, ranked as one of the top-rated 529 college savings plans in the country by Morningstar, an independent investment research firm, currently holds nearly $6.9 billion in assets in more than 278,000 accounts as of 9/23/16. To sign up for an account or for more information about the plan, visit. For information about the ScholarShare Investment Board (SIB), visit www.treasurer.ca.gov/scholarshare. Like ScholarShare on Facebook at www.facebook.com/scholarshare529 and follow us on Twitter at @ScholarShare529.